While on your project, our friendly local staff will provide guidance and supervision. Many of them are experts on the communities in which we work, having lived there their whole lives. Our local staff also have vast experience in fields such as community development and education. We also work with a number of reputable gap year organisations – take a look at our full list of Projects Abroad partners. 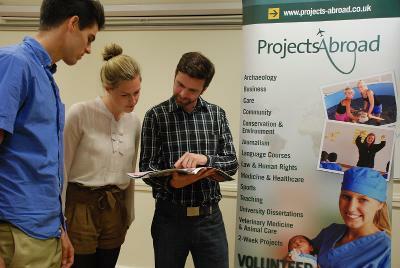 Projects Abroad is a family-run business, and we extend that philosophy to our ever-growing network of volunteers. With over 24 years in the business, we’re more than equipped to ensure you have a safe, worthwhile and enjoyable experience overseas.